The second made was the very spongy black patterned knit stuff. I bought this at Darn Cheap in Melbourne last year. It's soft and warm and very easy to sew. It was the full size and is nice and comfy. I needed to shorten it through the middle for the next iteration as it at a daggy length on me. With boots and tights it's great though. The plan was to make a raglan top in same fabric but that never got made. Further down I'll show you the raglan top I made to wear with it. This one is made from a ponte from Spotlight a couple of years ago. The purple stripe actually meets in a right angle and it looks really nice on. First made was the red one, made from a scrap of scuba from Spotlight. Not my red (I like the more blue based and this is more orange based) but it's not next to my face so it doesn't matter. It was just a metre so the skirt is shorter than the pattern but it was a small investment in time and fabric to see if the skirt suited me. Making these skirts prompted me to start using my coverstitch machine. I really wanted to get some good practise in and did. It is really easy to use and even changing colours is a breeze. I'm not afraid of it anymore. This is the top I made to go with the black skirt. It's a scrap from the fabric sale. It was $1. It was to try Burda 6846 out. I made an 8 in the neck and shoulders and graded out to a 10 under the arms and to a 12 from there. It fits perfectly. It's a great colour but the fabric has pilled a bit. I thought it was the fabric at first but worked out it's my work lanyard. The other top I made (I wear with the striped skirt) is another Simplicity 9437. This is a great simple pattern that fits really well. I made it from some off white rayon from East Coast Fabrics. It's really comfortable and perfect for work. I had started this green merino fleece sweatshirt for my son last year. I just needed to put some binding and hem the sleeves and waist. I used some stripe for the neck and sleeves and used the reverse coverstitch for the hem. I really like it but Alex hasn't worn it much. It won't fit him next year but it fits me so I may wear it, I really like the green with the stripes. The stripes is a double sided one that I got at Clear It in Melbourne. It's got wider stripes on the reverse. I really want to make a waterfall cardi with it. This top was my first try at a boys t-shirt pattern to see the fit. It was a good fit and so I made another merino/nylon sweatshirt for my son. It's dark grey with a smooth outer which is nylon and the terry inside is merino. I've made some tights with it a couple of years ago and a sports jacket and it's so warm, comfy and wears so well. The dinosaur print was a cotton knit remnant from Spotlight that I bought to use for practise. I wore it for winter pj's. I made some New Look 6459 culottes from this rayon spot fabric and they fit perfectly. I wore them once and the second time I wore them they spit at the top of my thigh right in the middle length ways. I bought this fabric from an online shop and it was a nice heavy weight, but there was a couple of holes in it and I think it was old and hence it split. I was so disappointed. I made the white rayon top to wear together and it split under the arms but I fixed that up and it's fine. Funnily I read an article about reinforcing the underarm seams on those types of sleeves, so I did that. I finished this dress ages ago but I think I stretched the facing around the front/neck and the shoulders are still too big for my niece. It looked so good on her but I'm not sure if I should invest the time to fit it properly or cut my losses and make it a skirt??? Any thoughts? Thanks for reading this far. 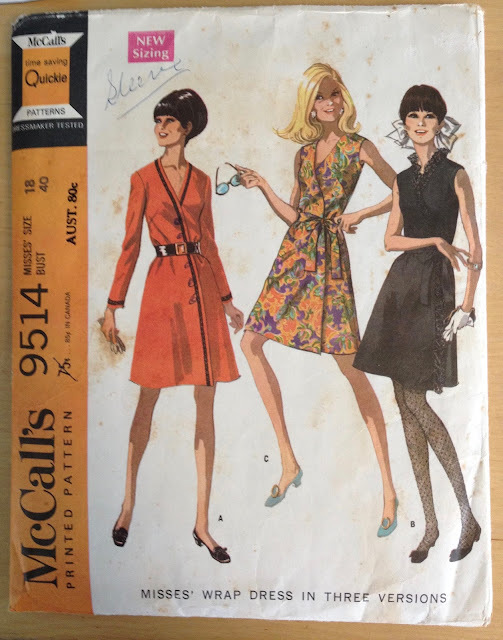 I have just finished a Butterick Lisette Waterfall coat so I'll post that next. Of cause just in time for it to be 37 degrees on the weekend. Oh and speaking of the weekend, on Saturday I'm doing a bra making workshop. So excited for a proper fitting bra. You have been busy! I like so many of the things you made. Those asymmetrical skirts look amazing! I can see why you created more than one. Sorry about the culottes. The dress for your niece is cute. If it is worth it, then adjust the fit. If not, a skirt would look nice too. Wow you have been busy! I don't think I have ever sewn up a pattern that many times. It would be great to see at least on version on you. What a great lot of sewing you have done. 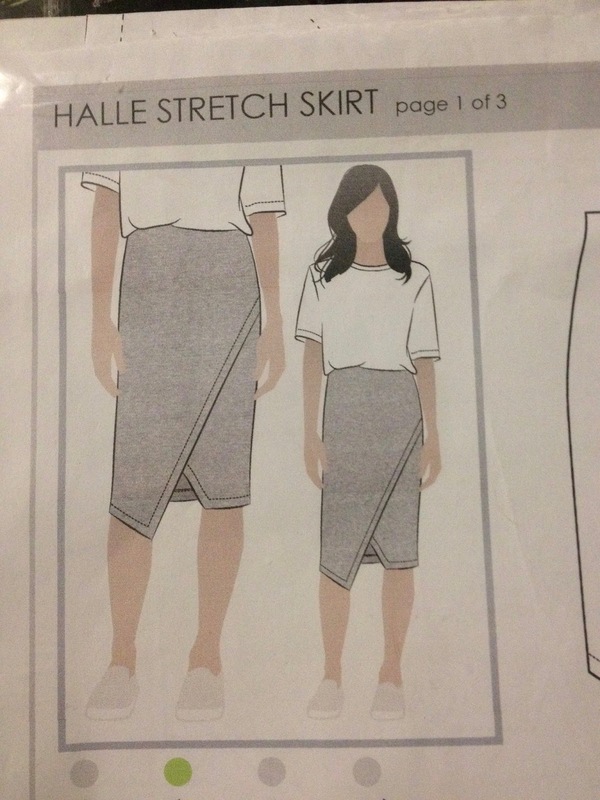 The Halle skirts are cute - I have that pattern too. I like the spot dress too, but if it can't be fixed, I'd turn it into a skirt which would be lovely with a white top. I'm interested that you like your cover stitch machine, I often think about getting one but don't know much about them.